A Welsh girl in Australia: Something in common with Wills and Kate! Something in common with Wills and Kate! ...and my wedding band is made from Welsh gold. 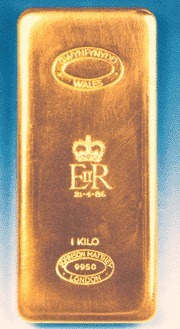 but it does contain some of the very precious gold mined in Wales. If you look closely you can see the word Heritage and next to it a daffodil. The gold in my ring was mined from Gwynfynydd in North Wales. The Queen was presented with a kilogram of gold from Gwynfynydd on her 60th birthday in 1986 so who knows, maybe Kate Middleton's wedding ring will be made from the same gold from the same mine as mine? The mines were still active back in the day when I got married so I have a percentage of Welsh gold in my wedding band. As time has gone on the percentage that is included in the rings has decreased whilst the price has increased. The last two major gold mines closed at the end of the 1990's. Better keep looking after it then! 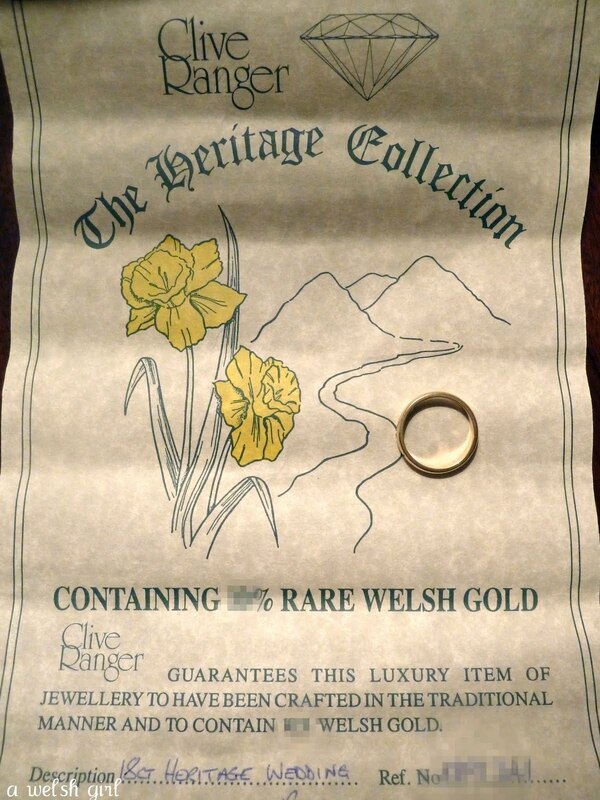 Thanks for sharing as I had no idea the royal wedding rings had be made from Welsh gold. I've finally put my post up about the Welshcakes, loved them, and think I will make them again tomorrow in honour of the wedding! Easier than a Victoria Sponge huh?! up to THE big day : ) !! My wedding band has a little bit of welsh in it too. Not the gold, but inscribed inside it says "Cariad O Hyd" which I believe means "
"Love forever" or "Love without end"
I hope Kate is as happy with her Welsh man as I am with mine! It's lovely to find your blog. Welsh gold, how beautiful. I just noticed how difficult it was to get Kate's ring on her finger- ouch! Hope you enjoyed the wedding! Emma. p.s. You will have to go out west of Rocky to the Gem fields and get yourself a sapphire, emerald or ruby one day!! What a lovely story Beth! 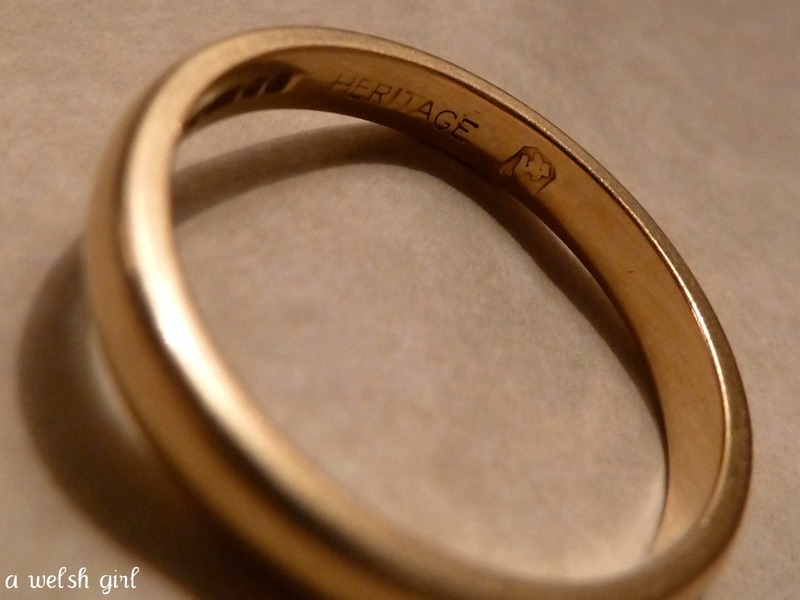 Your Welsh gold ring has a lovely soft patina to it, much nicer than the bright gold colour of mine. Hello Beth, my name is Beth also and i live in the US. I LOVE your story! I have been looking to buy a Welsh Gold wedding band (with NO luck) and that is how i found your story. May i be noisy and ask about how much Welsh Gold % is in your ring? And was it very expensive back in 1995? Thank you for your time and story!